Current balance: $567.61 Please feel free to donate any time. Donations used for cost of website hosting & future reunions. Any and all amounts are welcome. Thanks for your help! The Tullahoma Lakewood Country Club was the scene for the THS Class of 1982 35th reunion on Saturday night, October 7, 2017. Shown below is the group pic of those classmates who attended. 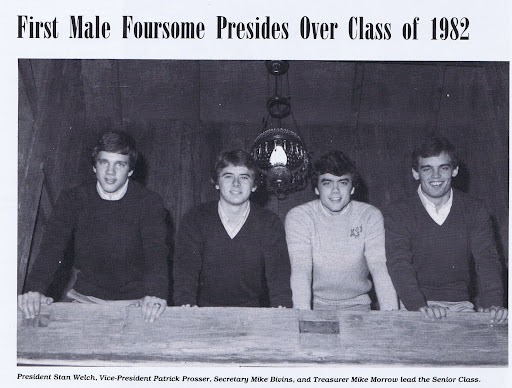 I have added pictures from Facebook into our 35 Year Reunion Pics gallery to your left on this page. I believe you can edit and add your own captions. Classmates are all encouraged to upload and share additional pictures that you took with classmates via the button on the left side of this page. The night before the reunion, Friday, October 6, interested THS 1982 classmates met at THS and toured the hallowed halls of the old alma mater. After the tour, it was Friday night lights and the THS Wildcats football team taking on Lawrence County in a 7:00pm home game. In what turned out to be a thriller, the Wildcats defeated Lawrence County 29-22. Daddy Billy's was the next stop for some classmates who carried on until the early morning hours. Classmates are already talking about the next reunion in 2022 and what can be done to boost attendance. Check back frequently as a post-reunion survey will be coming soon to help us get feedback on what can be done to improve our reunion experiences. 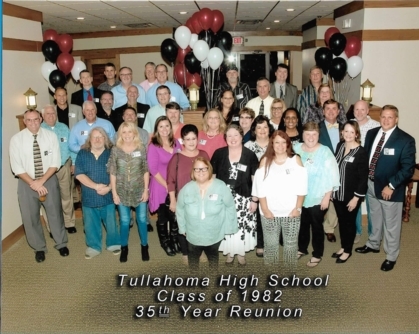 Help us to continue to spread the word about our class communications... word of mouth; this website (www.THS1982.com); Facebook (Tullahoma High School Class of 1982) & Twitter (@THS1982Alumni). Email us at THS1982alumni@gmail.com if you have any questions or change your address or any other contact information.